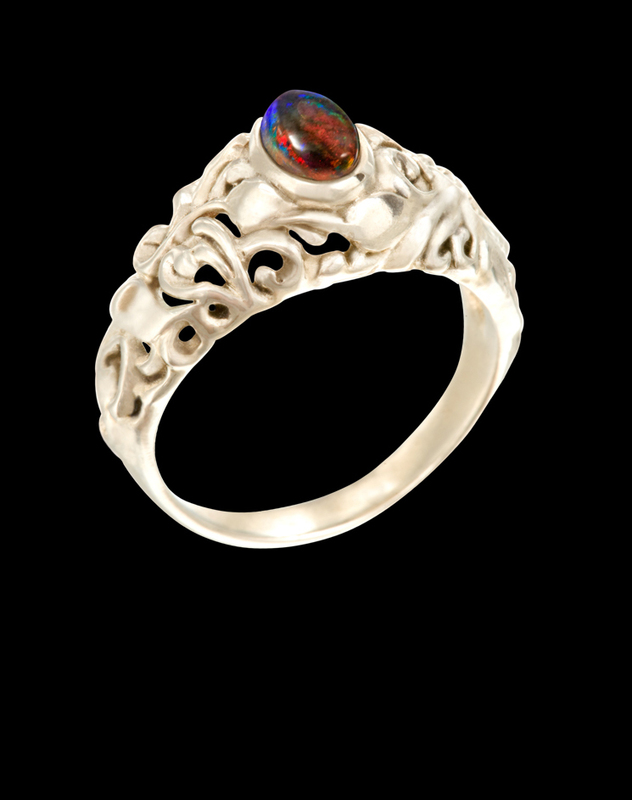 This ornate ring showcases a black opal with flashes of red, blue, and green fire. Suggestions of leaves are found among open filigree work which tapers to a solid shank. Ring is solid 14 kt white gold.